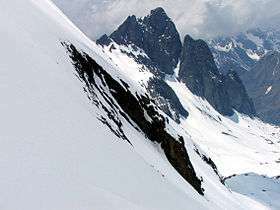 The Bergamasque Alps or Bergamo Alps (Italian: Alpi Orobie) are a mountain range in the Italian Alps. They are located in northern Lombardy and named after the city Bergamo, south of the mountains. 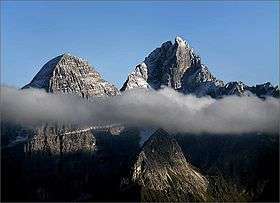 Within the Eastern Alps, the Alpine Club or AVE system places them within the Western Limestone Alps, while the SOIUSA system classifies them within the Southeastern Alps.